See all that food? 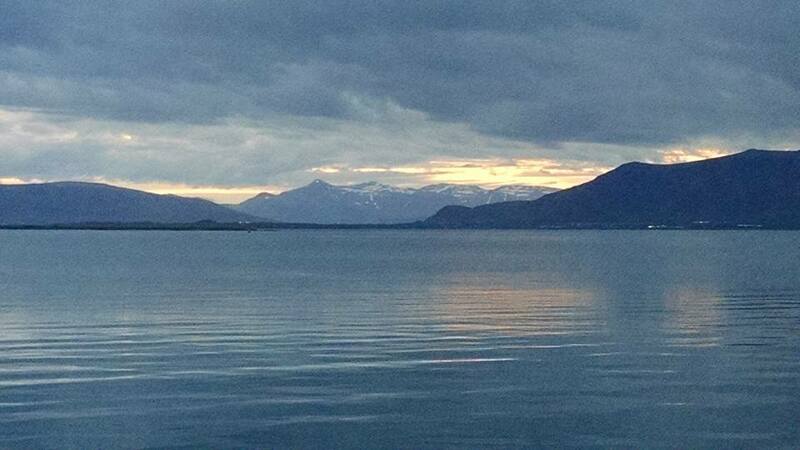 It’s absolutely free for the taking in one of the most expensive cities in the world, Reykjavik, Iceland. While I was walking around the city yesterday I made a habit of checking out the different menus around the city, and the typical cost looks to be around $15 for lunch and $20 for dinner. Since my unofficial budget for food is $10-$15 a day (I actually don’t keep one. I just try to be frugal all the time), if I were to eat out for three meals a day I’d be spending my daily budget goal of $50 a day in food alone. I discovered how you can eat free food at Reykjavik hostels and still get a decent meal. When I checked into the hostel I met these two really friendly English women who told me about this big free food stash shown above. 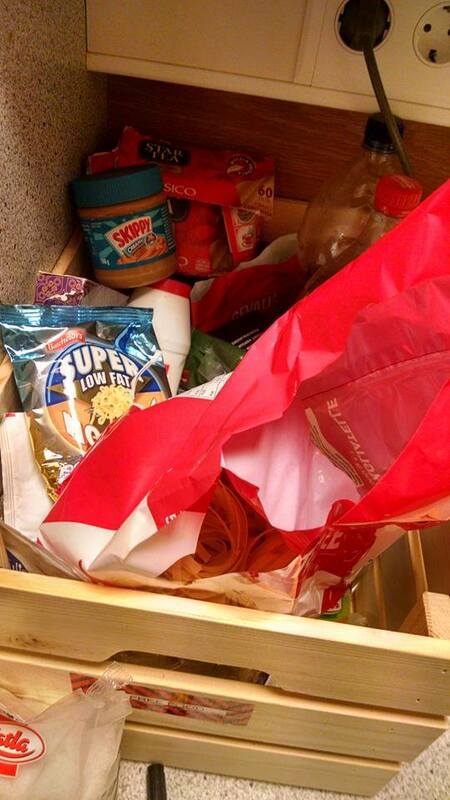 It had all the bread, tortillas, tea, coffee, PB&J and spices/sauces you could want. I realized that this would make cooking imminently doable since all the staples were mine for free. Now that I knew I could still keep my goal of keeping a budget and see the beautiful country of Iceland, I needed a place to buy groceries. After asking a local, they directed me to a place called Bonus. I picked up cucumber, a loaf of bread, meat, cereal, trail mix, a bunch of apples, and a big thing of nutella for around $15. 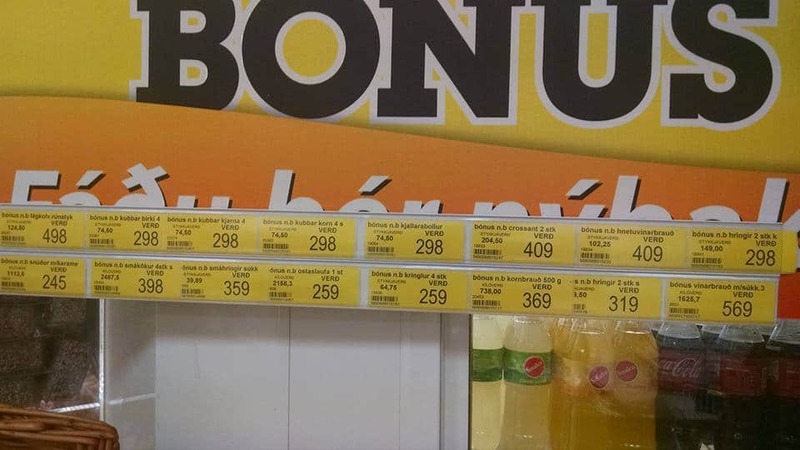 Bonus is the Walmart of Iceland. Everything else is pretty expensive. The only downside is it opens kind of late around 1130am (everyone here doesn’t seem to wake up before 9 or 10am but they go to bed very late). The only place to get food 24/7 is a place called 10-11 (like 7-11 haha) but as an Icelander told me “only tourists go to that place.” The Bonus supermarket had everything you would want if you were determined to spend almost nothing on meals, but it also had high end food at a fraction of the price. There were a bunch of fresh frozen fish fillets from the Sea off Reykjavik and even something called fish chips (no not fish and chips, literally chips made from fish). So this market Bonus has options for everyone. 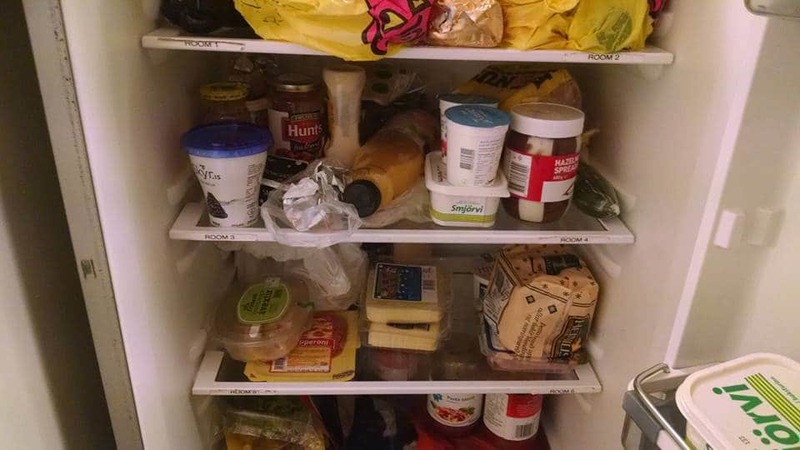 When I got back to the hostel I put my stuff back in the fridge and look how packed it was. The English women I met offered for me to take all their food since it was their last day, so I picked up a couple fresh tomatoes, cheese, a bunch of yogurts, and butter to pair with the supplement I bought for all the staples (I actually didn’t even know about the free food when I made my grocery run). I proceeded to make crepes and a ham cheese tomato sandwich with toasted bread and melted cheese. It was exquisite! The English women had me take a couple drinks with them and I realized that I’m not going to be able to keep up with Europeans, but it was very nice of them since the average drink is going to run you about $10. So there you go, you can have a food budget of $10 or less a day by taking advantage of the free food stash in your hostel and accepting (when offered) food some of your mates are tossing to catch their flights. I might have one authentic Icelandic meal before I go, but at least it will be one $20 meal and not ten during my duration here. I’d rather spend the time and money exploring museums and natural sights. Off to the next adventure. 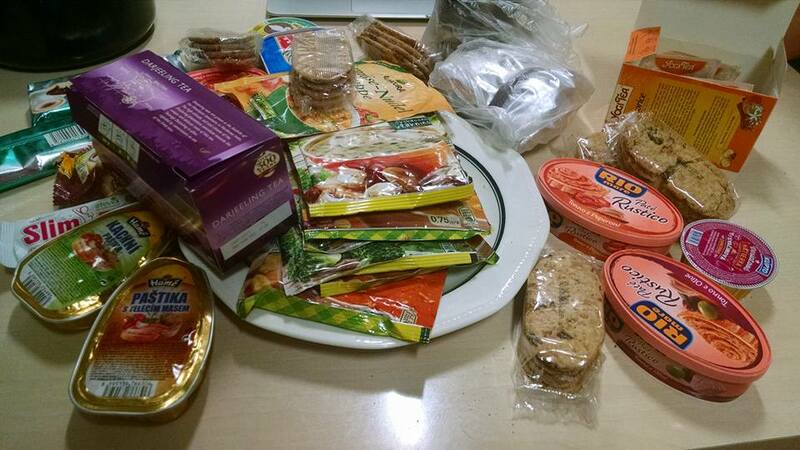 We just got a big stash of expensive food from a half dozen Slovakian doctors who are leaving after a 10 day Icelandic trip. You can’t see it all below but it includes caviar, fish, fancy cookies, soups, teas, coffees, snack bars, sardines and crackers. So I think my hypothesis about getting free food for cheap was correct.